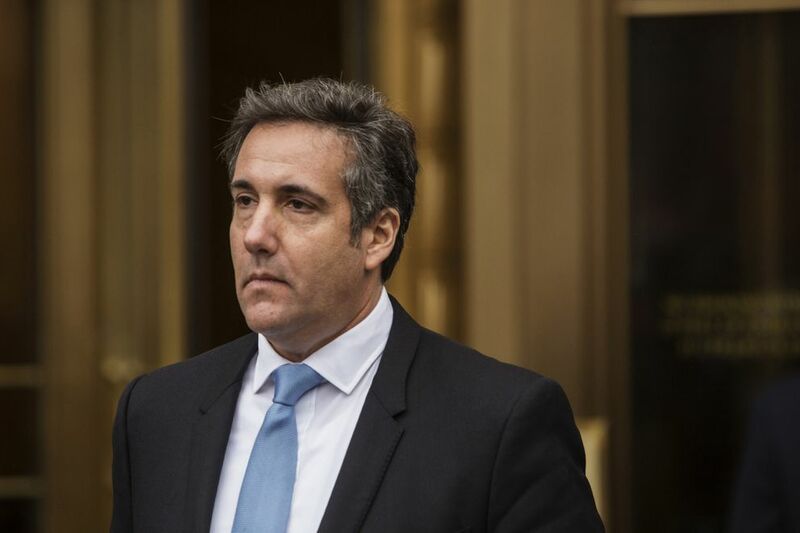 In new financial disclosure documents, President Donald Trump reported reimbursing his personal attorney, Michael Cohen, for an expenditure over $100,000 last year – an apparent reference to the $130,000 that Cohen paid to ensure the silence of an adult-film actress who claimed she'd had an affair with Trump. "In 2016 expenses were incurred by one of Donald J. Trump's attorneys, Michael Cohen," Trump reported in a footnote to his official Personal Financial Disclosure report, required of top federal officials. "Mr. Cohen sought reimbursement of those expenses and Mr. Trump fully reimbursed Mr. Cohen in 2017. The category of value would be $100,001 – $250,000 and the interest rate would be zero." More recently, former New York mayor Rudy Giuliani – newly hired as part of Trump's legal team – said in interviews that Trump had reimbursed Cohen for the payment. Michael Avenatti, an attorney representing Daniels, on Tuesday questioned why Trump was acknowledging the payment – and his reimbursement of Cohen – now. "Was he lying then or was he lying now? He previously denied any knowledge of the agreement or the payment – and did so aboard Air Force One on video."